The Miller Analogies Test can seem like a daunting task: there is so much information to cover! But by taking the rights steps early on, this is an exam that can definitely be studied for. The biggest mistake students make is not giving themselves enough time to study. I often suggest studying for 2 months. If you really want to make the MAT work for you, then it is helpful to go deeper into this recommendation. You should be studying 10-15 hours per week in preparation for the MAT. For two months, that comes out to between 80-120 hours. The actual goal of two months of study is to log in this many hours. Take a look at your week; what are you time commitments? Many of you have school, work, and family commitments. How much time can you realistically spend per week on studying? Some people can do the 10-15 hours. Others might only be able to do 8 or even 5. If you only have 8 hours per week to study, it would take you 10 weeks to get to 80 hours and 15 weeks to get 120 hours. In which case, you really should be studying for longer than two months if you want the best results. Take the time to figure out exactly how much time you can devote to the MAT each week; aim to accumulate 80-120 hours of study, and–if possible–give yourself that much prep time before taking the exam. Obviously, you are going to spend a lot of time learning actual material for the test. However, don’t skip on learning about the exam itself. Learn the test structure. 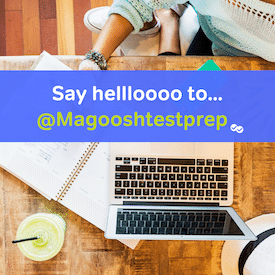 Practice test strategy: question strategy, pacing, guessing, skipping, etc. These are the aspects of test taking that do not have to do directly with subject knowledge, but they make a huge difference in your ability to apply your knowledge. Read the official MAT study guide as many times as it takes to commit it to memory. The Magoosh MAT blog is also full of strategy information of this kind.